RBH’s award-winning speakers are arguably among the best you’ll ever listen to. The only downside, is that it’s kind of hard to take them with you wherever you go. We’re introducing our uniquely different, but equally noteworthy, over-the-ear headphone models. Whether your tastes run wireless or wired, we’ve got you covered no matter where you go. 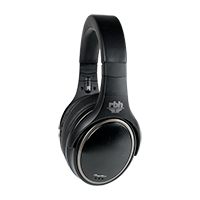 Even better, each model features the high-fidelity and performance listeners have come to expect from RBH. For more specific information, check out the links below. EACH PAIR OF HEADPHONES COME WITH A TWO-YEAR WARRANTY!